I bought this car 6 wks ago. Have driven approx 2000 km since . Interiors- Best interior space among all hatchbacks esp rear seat which can seat three comfortably. Comfortable seats with max knee room for rear passengers. Lots of cubby holes & bottle holders. The Glove box is air cooled which means that cold air from one vent can be directed into it to keep 2l soft drink/water bottles cold. The center mounted speedometer is very convenient. No tachometer in a car at this price range is surprising! No music system either. Ride quality- very good. in crowded bumper-to-bumper traffic it shows its true class and can pull effortlessly in 2nd or 3rd gear. Only one criticism- overtaking on the highway in 4th gear requires planning! 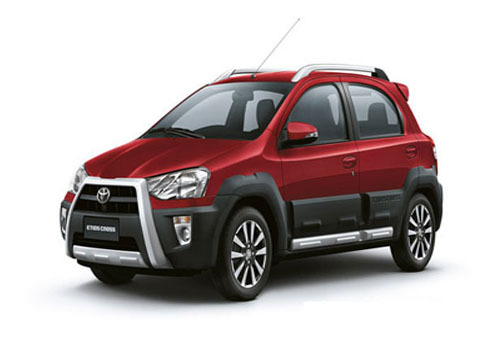 Toyota Etios Liva Diesel is excellent for its fuel economy. Look and Style Amazing and Comfort Very Good for 5 people..